The Church encourages members to be active in the local community and farther afield. 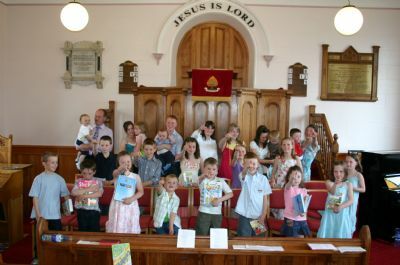 Click here for a 'Favourite Bible Verses' of members of the Congregation at Fahan. Click here for an line copy of the Bible. at the Missionary weekend in Fahan. Click here for more details. 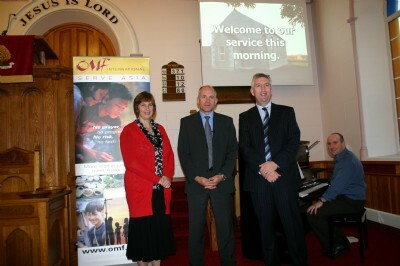 The congregation were involved in supporting and praying for the work in Kenya by Derek & Linda Roulston. 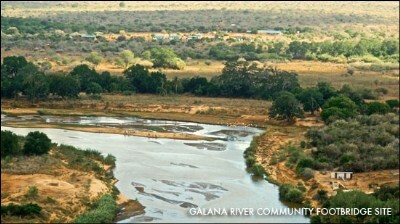 One project was the construction of a footbridge over the Galana river. 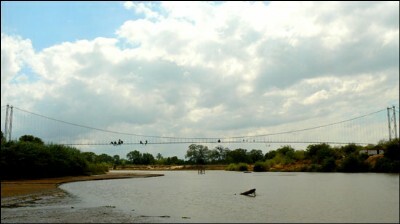 Final touches being put to the bridge over the Gala River. Details of Summer 2008 helpers. 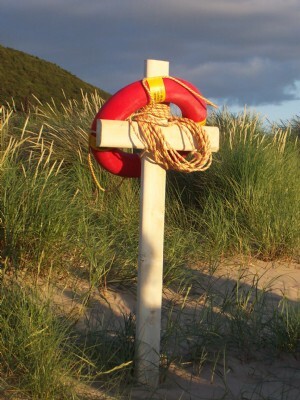 Part a, part b, part c and part d.
We advocates the Cross of Jesus to be the central life belt for life. 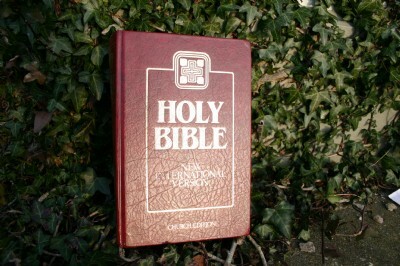 You will find the New International Bible as the version in the Pews for your use by everyone during the Service. The page number is read out by the minister which should make finding the text easy if you are a visitor. Poster by Open Doors on display in the Church Hall. There are areas of the world where Christians are suffering greatly for their faith. 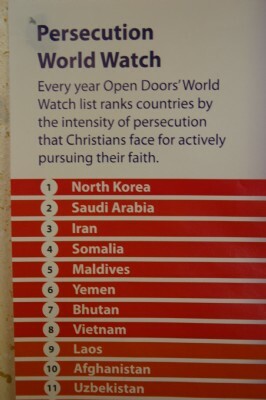 The poster in the Church Hall lists the countries in order of level of persecution. The list includes North Korea, Saudia Arabia, Iran, Somalia, Maldieves, Yemen, Bhutan, Vietnam, Laos, Afghanistan and Uzbekistan. Please pray for the Christians throughout the world who are being persecuted for their faith in Jesus Christ. 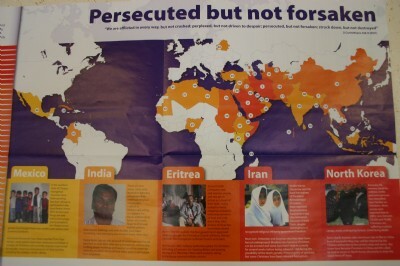 An organisation that also helps persecuted believers is Asia Link.